High Risk LifeI nsurance Agency can assist you with Life Insurance Approval with Duodenal Ulcer! Have you been declined for life insurance due to Duodenal Ulcer? Can People Who Have Duodenal Ulcer Be Approved for Life Insurance? Yes, most individuals with Duodenal Ulcer will be able to qualify for traditional life insurance, the type of insurance which requires a medical exam. Best Case Scenario – Since most cases of Duodenal Ulcer are benign, they may qualify for the “Standard” rating. Provided, that there are no moderate to severe symptoms of abdominal pain or epigastric tenderness. It is also a must to establish the absence of complications such as bleeding or perforation. Click here for quote at “Standard”. Moderate Case – Those with recurrent symptoms of bloating, burning or hunger-like pain or those with even one history of bleeding may only qualify for a “Mild Substandard” rating. Click here for a quote at “Mild Substandard”. How many years have you been diagnosed with Duodenal Ulcer? Although Duodenal Ulcer is mostly benign, a long standing case may develop complications. In these cases, a thorough evaluation may be required. The best rating for such cases may be at “Mild Substandard”. It must also be established that the diagnosis is DU and not gastric ulcer. Symptoms of abdominal pain, nausea, vomiting and other stomach discomforts may indicate complications and may get you a “Mild Substandard” rating. The use for medications such as NSAIDs for epigastric pain or abdominal discomfort may be indicative of a worsening condition. In addition, long- term use of NSAIDs has shown complications not just for the digestive system, but with other major organs of the body. 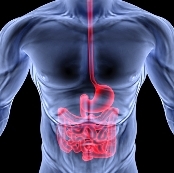 Do you have regular check-up with your gastroenterologist? Regular visit to your gastroenterologist is a good sign of control of the condition and may get you a “Standard” rating. It is, however, necessary for laboratory and diagnostic exams to confirm the absence of complications such as abdominal perforation or in worst cases gastric cancer. Do you have any diagnostic results for the last six months? Recent results of barium studies or endoscopy findings will be very helpful to determine whether you will qualify for a “Standard” or “Mild Substandard” rating. In case you will not qualify in any of these, you may inquire about our graded death benefit policy. There are cases of Duodenal Ulcer that are aggravated by wrong eating and lifestyle habits such as high fatty food and alcohol consumption. These cases may present higher risks for developing complications, so the best rating you may get is at “Mild Substandard” health class. Duodenal Ulcer (DU) is a type of ulcer characterized by inflammation or destruction of the mucosal layer of the stomach, most commonly, the duodenum. This condition leads to the disruption of the normal digestive function. When the break in the mucosal integrity occurs, the defense and repair function in the stomach or duodenal lining also breaks down. DU is chronic in nature, and although it presents a wide variety of symptoms, it is commonly benign and rarely displays any malignancy. The most common causes of Duodenal Ulcer include H. pylori infection or prolonged use of NSAIDs (non-steroidal anti-inflammatory drug). Research studies hypothesize that H. pylori is the most common cause of Duodenal Ulcer because, the presence of this microorganism cause increased gastric and duodenal acid production, which lead to mucosal injury. Symptoms of Duodenal Ulcer include abdominal pain or epigastric tenderness that is often described by patients as burning, aching, troublesome or hunger-like pain. The pain in DU is usually relieved by antacids or intake of food, but may recur after 1 ½ to 3 hour after eating. Untreated Duodenal Ulcer has many complications that include bleeding, obstruction and perforation. These complications may occur without any presenting symptoms, but in other occasions patients may complain of nausea and vomiting, which are usually the initial signs of complications. Dyspepsia, on the other hand, which is no longer controlled by antacids, and radiates at the back may be a sign of ulcer penetration to the pancreas. Acute and severe abdominal pain, plus a board-like abdomen may indicate the presence of perforation. The symptoms of pain, nausea and vomiting also worsen with meals. In some cases black tarry stool or coffee ground material may also be observed as a sign of bleeding. The rarest complication in DU is the presence of an obstruction due to inflammation or swelling. Obstruction immediately resolves once the ulcer heals. But if the obstruction is the result of scarring, the best intervention is surgical dilatation. There are many other conditions that present ulcer-like symptoms like digestive tumors, biliary colic, gastroesophageal reflux and Crohn’s disease. Diagnostic evaluation for Duodenal Ulcer is done via endoscopic procedure or a barium study. Treatment of DU is done using antacids, H2-receptor antagonists, gastric protective agents and proton pump inhibitor.